-sized Mt. 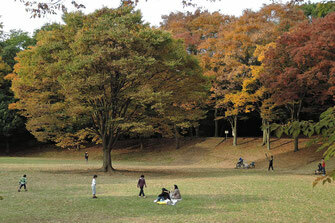 Fuji (74 meters above sea level), in Tsuzuki ward, Yokohama. 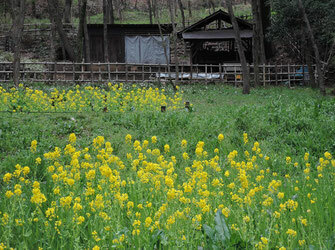 It was originally built in the latter part of the Edo period, for the purpose of worshipping the highest mountain in Japan. What a surprise to have seen so many people there who came to observe the first sun rise in 2016. 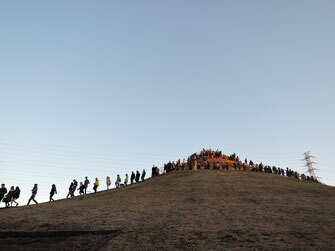 The photo shows people coming down from the hill top after the sun rise. 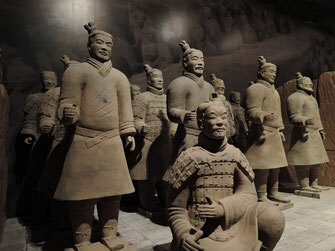 I visited the Tokyo National Museum to see the special exhibition of the Terracotta soldiers and horses from the Mausoleum of Qin Shi Huang (259-210 BC), the first emperor of China. 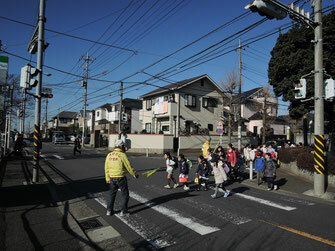 The two men in their yellow windbreakers are volunteers who, mostly in their 60s and 70s, look after school children going to school every morning. 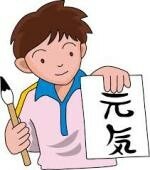 They say that they would like to continue their activities as long as possible because they draw "strength and energy" from the children. 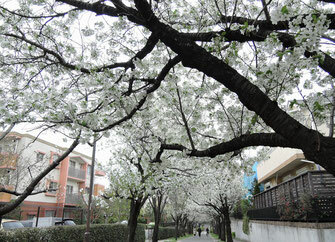 Cherry blossoms along a footpath in Kohoku new town, northern Yokohama. 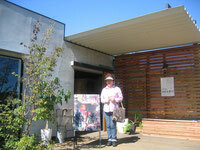 This charcoalpit is located in Center Minami (south), northern Yokohama. 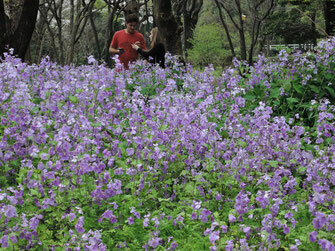 The spring has come. 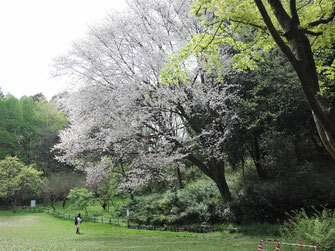 The park is located near the Imperial Palace. 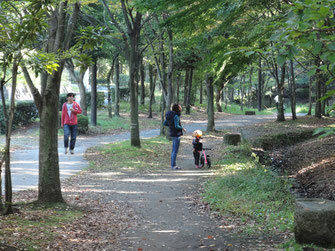 You can enjoy fishing carp here (entrance fee:2,200yen per day). 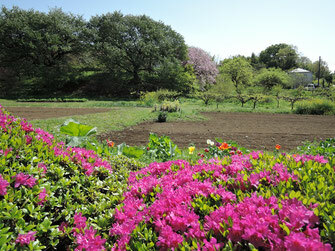 (particularly rhododendron and peony flowers in May). 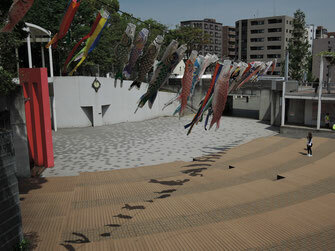 Carp-shaped streamers "fly" in the sky, wishing for a boy's healthy growth. Atami is a popular hot spring resort, lying on the seashore facing the Pacific Ocean about 90 km south west of downtown Tokyo. 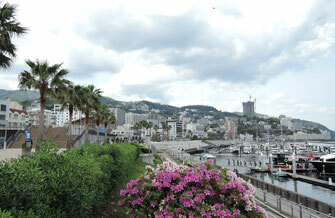 Atami literally means "hot sea" deriving its name from a legend that hot springs spewed from the sea. 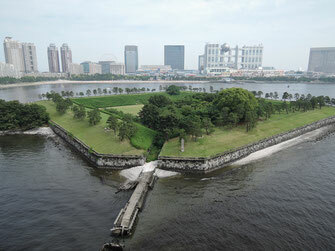 This battery, now a park, was one of the six batteries hastely built in the Bay of Tokyo for defending the Shogun's palace in the 1880s. 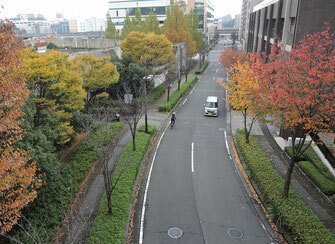 The photo was taken from Rainbow bridge. The temple is located in the northern part of Kawasaki city and is well known for beautiful flowers year around, especially hydrangeas in June. Once inside the premises, you will be surprised to see more than ten stone statues of monks sporting cheerful expressions and in lively poses like reading a book, drinking sake, playing shogi (chess) and so on. 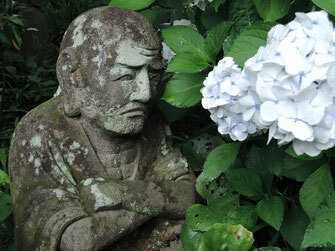 This particular photo depicts a monk in contemplation. 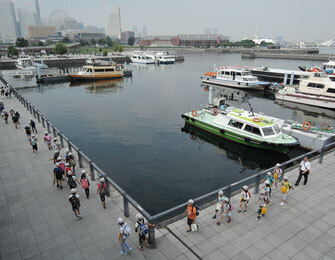 School children visiting Minato Mirai, which literally means: port of the future. 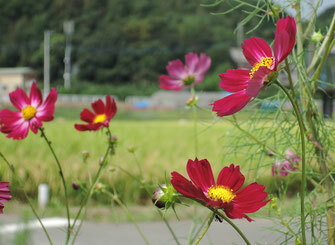 Rice is the main crop there. 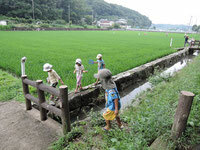 Rice planting is carried out usually in May to June and harvesting in September to October. 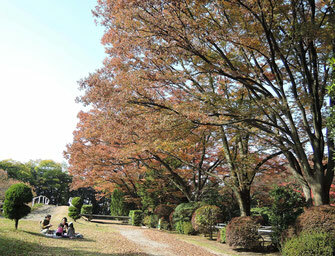 It is a "tied island" or "land-tied island", some 40 km south west of downtown Tokyo. 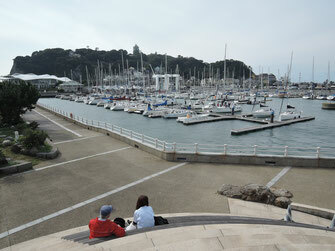 The photo depicts Enoshima yacht harbor, the site of yachting events during the 1964 Tokyo Olympics and will host the events again for the 2020 Olympics. 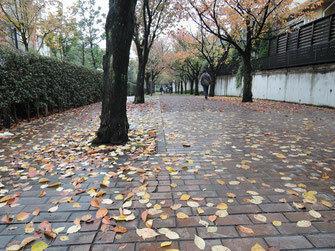 Autumn scenery along a footpath. 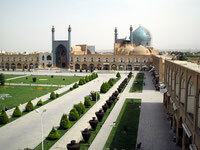 It is an equestrian park and was the site of equestrian events during the 1964 Olympics. It will host the events again for the 2020 Olympics. 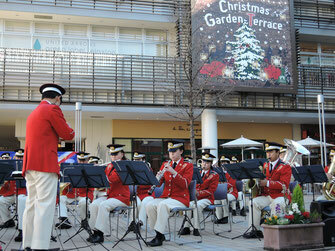 A fire department brass band plays Christmas numbers.